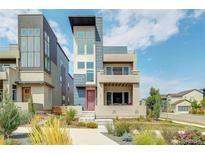 Below you can view all the homes for sale in the Midtown At Clear Creek subdivision located in Denver Colorado. Listings in Midtown At Clear Creek are updated daily from data we receive from the Denver multiple listing service. To learn more about any of these homes or to receive custom notifications when a new property is listed for sale in Midtown At Clear Creek, give us a call at 720-729-2338. From the superior design and craftsmanship to the excellent outdoor space, you will find many reasons to make this house your home! MLS#8543109. HomeSmart Realty Group. The home also includes appliances, upgraded roof with 50yr lifetime shingles, custom window treatments, ceiling fans, tankless water heater, and is plumbed for a whole-house vacuum system. MLS#7170111. MIDTOWN REALTY INC. Photos are representative of the same model in the community. New School Website - https://www.mapleton.us/District/portal/trailside-academy MLS#4835172. Keller Williams Realty Downtown LLC. Enjoy being 10 minutes from downtown and moments from major commuting routes, plus get to know Midtown’s brewery, beautiful park and proximity to Clear Creek Bike Path. MLS#7954051. Spaces Real Estate. Outdoor living space landscaped with pet-friendly artificial turf. MLS#5970101. Porchlight Real Estate Group. Neighborhood features two parks, a splash park, Bruz brewery, clubhouse, community garden and a brand new k-8 school opening fall 2019. MLS#4499733. Keller Williams Realty Downtown LLC. Brand new K-8 neighborhood school, Trailside Academy to open this fall! MLS#8195169. LIV Sotheby's International Realty. Walk to the neighborhood brewery & community park, plus easy access to mountain and city via the trail system. MLS#8553230. Real Estate of the Summit. This home was built in 2015. MLS#6263346. Brookfield Residential. Extended side patio, Central A.C., and much more. Energy Star rated home. MLS#8350841. Brookfield Residential. Just 10 minutes from Downtown Denver & 30 minutes from Boulder. MLS#7377039. Redfin Corporation. It’s all part of the sweet life in Midtown. MLS#9331799. Spaces Real Estate. Photos are representative of the same model in the community. New School Website - https://www.mapleton.us/District/portal/trailside-academy MLS#9655394. Keller Williams Realty Downtown LLC. The fully finished basement completed by the builder includes a bedroom and fully finished bathroom. MLS#4761474. Keller Williams Realty Downtown LLC. Just 15 minutes from Downtown and two miles from the new lightrail station. MLS#4470927. Liz Daigle Realty. Masterful Design & Modern Luxury are Uniquely Embodied in this 4 Bedroom + Study, 6 Bath 3 Story Home 10 Minutes From Downtown Denver*Rare Corner Lot w/ Mountain Views & A Hint of Downtown Views*True Chef's Delight w/ Upgraded Cabinets, Bosch Stainless Steel Appliances including Double Ovens, & Quartz Waterfall Edge Countertops*Master Retreat w/ Frameless Rain Glass Shower, Extended Vanity & Dressing Table, Dual Closets, & Private Deck*Stunning Penthouse w/ Custom Bar w/ Transparent Quartzite Countertop Featuring LED Light Panels*Fully Finished Bsmt w/ Coffered Ceilings, Surround Sound, Wine Storage, Bed & Bath*Home Highlights Include Open Riser Staircases, Laguna Sliding Glass Door to Study, Wood Flooring on the Main & Penthouse Floors, Surround Sound Speakers in Living Room & Basement, & Custom Window Coverings Throughout*Impeccable Community & Short Walk to Dog Park, Playground, Bistro, Microbrewery, Light Rail, Trailside Academy (Pre-K - 8) & Clear Creek Trail*This is A Must See* MLS#7297761. Keller Williams Realty Downtown LLC. Call now to schedule your personal schedule! MOTIVATED SELLER - QUICK POSSESSION MLS#2162677. TRELORA. Close to light rail, parks and trails! MUST SEE!!! ! MLS#6577144. eXp Realty, LLC.